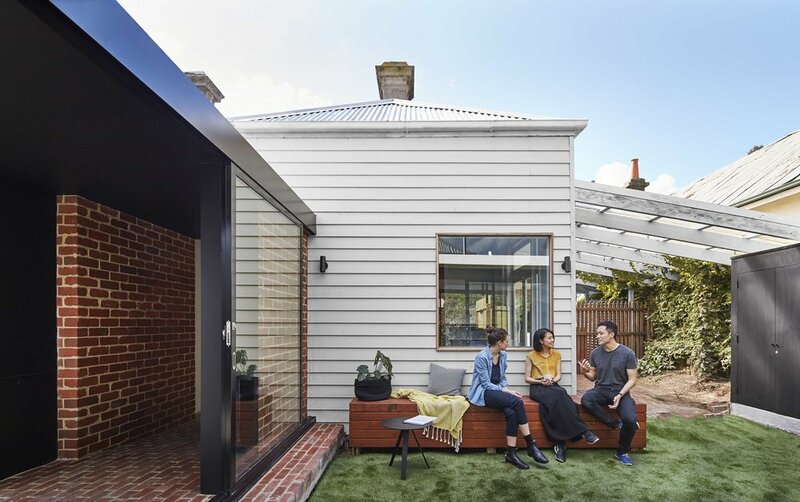 So our first approach, was to remove the awkward rear lean-to and instead of extending from the existing house, we decided to build a stand alone structure o the front house and connect the two spaces with a central passageway. Conceptually, this allows the two built form to contrast their individual form and characteristic, creating an architecture that provides clear distinction between ‘old’ and ‘new’. Spatially, the new stand alone living at the rear opens the central body of the site to create a north facing courtyard, with this planning strategy we now have a new north facing rear living area, natural light into the ‘darkest’ spot of the front house and an active garden courtyard.